Periodontal disease is a fairly common condition that may lead to tooth loss. There are 2 main types: gingivitis and periodontitis. Gingivitis is less serious, but more common than periodontitis. 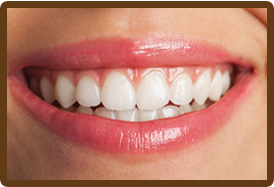 About 50% of Americans have gingivitis. Bacteria and inflammation cause periodontal disease. Gingivitis begins with a buildup of plaque on the teeth. Plaque is made up of bacteria, food particles, and mucus. If plaque is not brushed away, it hardens into tartar that gets stuck on the teeth. The bacteria in plaque and tartar trigger inflammation of the gums. This is why periodontal disease is commonly called gum disease. The gum can pull away from the teeth, forming pockets between the tooth and the gum. Bacteria grow in these pockets, and the inflammation spreads to the ligaments and bone that hold the teeth in place. This stage is called periodontitis. If the inflammation continues, the gums, ligaments, and bone are destroyed and teeth fall out. Gingivitis does not always progress to periodontitis. There are many factors that determine whether or not that happens. What should you do if you have concerns about periodontal disease? Practice good oral hygiene by brushing your teeth and flossing every day. Be sure to go to the dentist regularly to get your teeth cleaned and looked at. 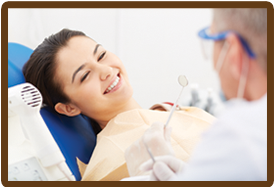 Talk with your dentist or dental hygienist about periodontal disease. How can OralDNA® Labs help? OralDNA Labs offers 2 tests that your oral healthcare professional might want to use. The MyPerioPath® test finds out which bacteria are triggering a patient’s periodontal disease. These bacteria could be different in different patients. The MyPerioiD® test can tell if a patient has specific changes in his/her DNA. These changes might mean the patient is at greater risk of more serious disease. The information provided by these 2 tests helps the dentist or periodontist come up with a treatment plan that’s right for each patient. These tests are performed using a saliva sample. It is easy and fast to collect. The patient simply swishes a saline solution in his/her mouth and spits it into a tube. The sample is then sent to OralDNA Labs, where the test is performed. 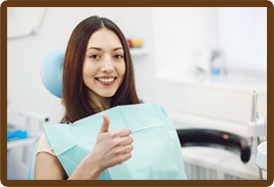 After testing, results are sent to your dentist’s or periodontist’s office.